The 2019 iPhone lineup would only come with upgrades to the existing models, meaning that we’ll get new iPhone XR, iPhone XS, and iPhone XS devices. 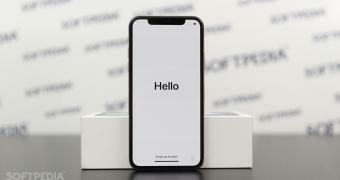 What we won’t get, however, is a 5G iPhone, as it was originally speculated that Apple would only launch such a model in 2020. But according to UBS analyst Timothy Arcuri, Apple is very unlikely to release a 5G smartphone next year, simply because it doesn’t have the hardware and the partners for such a device. Basically, it all comes down to the legal fight against Qualcomm. As far as the production of 5G modems is concerned, Apple’s best choices are Qualcomm and Intel, but given the dispute against the San Diego-based chipmaker, the latter remains the only option. Intel, however, won’t release a 5G modem until late 2020, which means there’s a high chance that Apple won’t be able to upgrade the iPhone with 5G capabilities next year.